SEO Marketing World states that an inbound link is one of the most important aspects of any searching engine optimization (SEO) marketing campaign. It backs up this statement by declaring that the number of quality inbound links on a page is the single biggest determining factor in how Google ranks a website. Since approximately 80 percent of people conducting an online search use Google, you can appreciate that quality inbound links are essential. The definition of an inbound link is one found elsewhere on the Internet that brings users directly to your site by clicking on it. SEO Marketing World hyperlinked above is an example of an outbound link. We are directing readers there because we quoted the site as a source. If the organization hyperlinked something it had read at Bristol Strategy, that would be an example of an inbound link. As an online marketer, you want other websites to point people to your content as often as possible because this process helps to generate inbound traffic and a positive rating from search engines. The more links coming into your site from authoritative sources, the higher search engine ranking you can expect. A good inbound link tells Internet crawlers that your site is a reliable authority on a specific topic. It’s important to keep in mind that search engines don’t rate all inbound links the same and that crawlers consider other factors when determining how to return results from an online user’s query. Another consideration is that reciprocal links don’t carry the same weight as a one-way link to your site. This is where you agree to post a link on your website in exchange for the other party posting your link on their site. While any inbound link helps, aim to get multiple inbound links from highly authoritative sites. Inbound links also provide you with referral traffic you might not have received otherwise. People reading a blog about a similar topic may be happy to follow your blog or product releases as well. However, they might not have found you anytime soon through search engines. This is one reason why quality links are essential to build your readership or customer base. It’s also important for the link coming into your site to use decent anchor text for hyperlinking purposes. Anchor text is a block of words either naming the source, as with SEO Marketing World, or highlighting a few descriptive words such as search engine optimization above. "Domain Authority is difficult to influence directly. It is made up of an aggregate of metrics (MozRank, MozTrust, link profile, and more) that each have an impact on this score. This was done intentionally; this metric is meant to approximate how competitive a given site is in Google.com. Since Google takes a lot of factors into account, a metric that tries to calculate it must incorporate a lot of factors, as well." You can measure your website domain authority using the Moz tools (links above) and many other SEO related tools you can readily search and find on the internet. In essence, it is best to gain inbound links from websites that have a higher domain authority than your site. Think of it like being lifted up by a friend. The higher the domain authority of the referring site, the more "juice" you site will gain from the link. Publish helpful and quality blogs on a consistent basis and ask people to share them on social media. You will soon develop a following of people willing to link to you without prompting. Shop around to see where you can publish a guest blog post. Most website owners who accept guest posts allow the author to backlink to his or her own site. However, don't publish duplicate content that is already on your website. Make it unique and include link(s) back to your website. Duplicate content reduces the SEO value of the content on your website. Stay on top of current events and aim to be the first to publish a blog post about new happenings. This wins you points with search engines for freshness and possibly links from other websites quoting your material. Volunteer for sites like Help a Reporter Out as a source or sign up to be a case study on sites you follow regularly. While you don’t usually receive payment, people who quote you in their own work should offer a backlink to your website and spend at least a few paragraphs discussing your business. Monitor mentions of your brand that don’t include a backlink and follow up with a polite request to include one. Setting up Google Alerts is an easy way to find out where others are discussing you online. These are just five of potentially dozens of possible ways to receive backlinks. HubSpot provides 33 tips in this article. We’ve briefly discussed outbound links as well as inbound links in detail. For the most effective SEO strategy, it’s also essential to have several internal links, sometimes referred as on-page SEO. These are links that take readers from one page of your website to another. They help you establish authority for all the pages of your website and rank higher in search engine results. The best part is that you have complete control over the placement and anchor text of internal links. The two most important factors for internal linking purposes are anchor text and sending readers to another page for more in-depth information. A good example of this would be listing your services on the home page with a link to individual pages that describe each one in detail. You will reap the greatest SEO benefit by focusing your internal linking efforts on one or two key phrases. We typically recommend creating a target keyword for each static page on your website (static means, pages other than blog pages where the content is typically content) when creating your site SEO strategy. By establishing the primary keyword for each page, when you blog, you can use the target list to link back to your other site pages. If you are updating a site that already has a blog, be sure to go back and instrument each old blog post with the new links where they naturally fit. We hope this information has been useful to you. Here is a valuable and free eBook resource: The SEO Myths to Leave Behind. If you want to learn more, please also check out the Digital Marketing Resources page and the additional articles that are listed below that provide in depth information from other sources. Search Engine Optimization is an important skill, investment, and process for every website owner to consider when planning their on-line strategy. 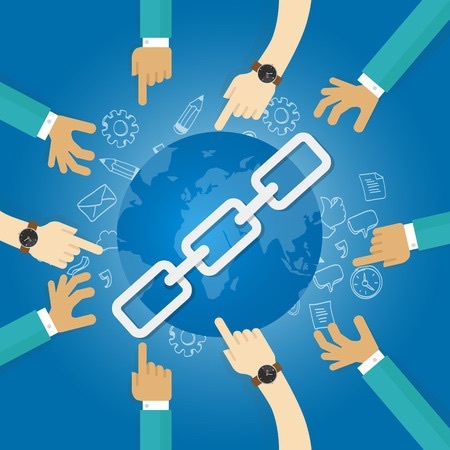 This blog post is focused on link building to improve the search results of your website. These next articles are here to help further educate you about the SEO topic and link building in particular. We thought that by providing these additional resources, they would make you a better marketer. Of course, if your business needs help with a website redesign project or SEO, please consider us as a resource to help you. I love this article by AIM. 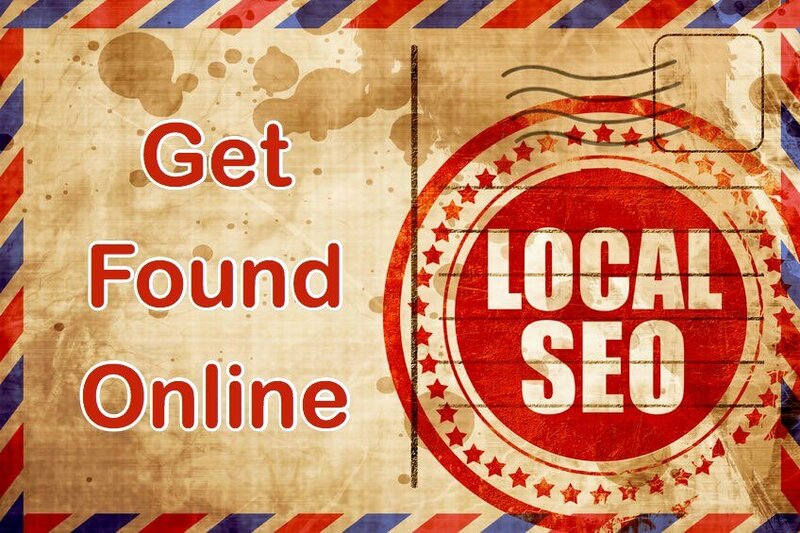 They have done a fabulous job of pulling together the opinions from several SEO experts. As I have written before about SEO, I believe that optimization for mobile is a critical new factor in SEO. For example, enabling your site for Google AMP (Accelerated Mobile Pages) is critical, especially since more than 50% or web traffic comes from mobile devices. Recently, Hubspot enabled Google AMP for blog pages on their platform. By just flipping a switch to turn it on you get accelerated pages for mobile search that is instantly applied to all of your blog articles. The experts go on to mention other factors like enabling your site for SSL security (you see it as an HTTPS and lock in the web browser URL), focusing on topics and more. Enjoy this great resource and plan to implement at least one of them. Many of their responses point in the direction of having more video content, mobile optimisation, optimising for topics over keywords, voice search over keyboard search, faster page loading speed, actionable content, and quality over quantity in regards to content. How Important Is Off-Page Optimization in SEO? This next article provides information about off-page SEO (backlinks are part of off-page SEO). The author shares several additional backlink techniques and tells us what not to do. I particularly like the "Skyscraper Technique." SEO often begins with on page optimizations such as building high-quality content, improving page load speed, and incorporating keywords with site-wide elements (title tags, meta descriptions, etc.). After this, you can proceed with your link-building campaign and spread the word on your website. Link-building is the process of acquiring backlinks from other authoritative sites. Remember that a website’s backlink profile is the primary driver of crucial SEO metrics, including Domain Authority (DA) and PageRank (PR). 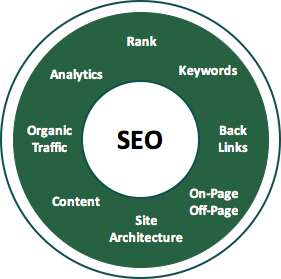 Hence, backlinks are one of the most important factors for off page optimization in SEO . In an analysis that covered 1 million websites, a high number of quality backlinks is closely tied to higher rankings . H‍ere is the actual article that describes the "Skyscraper Technique" article. If you take one thing away from this article, it is that the real impact of his work is to capture new inbound links to his website. Enough said. T‍his article by Neil Patel offers some innovative ways to capture backlinks. One of the ideas I like the best is to create a photo gallery and offer the photos to businesses in your niche and offer the images for free in return for backlinks. Now, in most cases, these backlinks won't be associated with anchor text that will help you build inbound traffic, but they will help to boost your domain authority. Starting to build links for a new site is a lot like climbing a mountain. You’re starting from ground zero with a lot of enthusiasm, but when you realize you have to climb for days to get anywhere, that enthusiasm often turns to the feeling of being overwhelmed. But when it comes to your site, the weather conditions, metaphorically speaking, are terrible as well. No one can see you from above, so they can’t help you out—you are on your own. That already rules out certain link building (climbing) strategies. This fact is nothing new. But the advice for new site owners is outdated and just plain bad in some cases. T‍his next article by Brandee Johnson (@limelight_mktg) does a nice job of describing how SEO fits into Inbound Marketing. In essence, Inbound Marketing enables SEO with content and SEO is a technique for maximizing the probability that the content will be found. As I work with entrepreneurs and marketers each day, it’s common to hear many admit that they don’t really understand how SEO fits into their inbound marketing strategy. Many of them realize that SEO is important because being found online is critical to businesses, but understanding and articulating how SEO fits into a broader marketing strategy can be difficult. 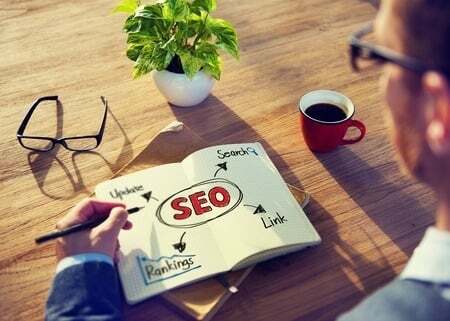 Many businesses have SEO efforts that are disconnected from their marketing strategy. In worse cases, these two functions are performed by individuals or teams who do not collaborate. For businesses using or considering inbound marketing as a holistic digital marketing strategy, it’s easy to see how SEO fits into a bigger picture.